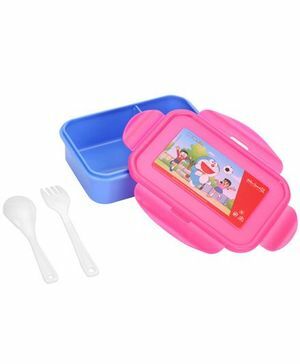 Doraemon lunch box is perfect for school, travel and day out. The print on the box makes it fun for kids to carry. Easy to wash and clean. Made of good quality plastic. It will easily fit into a backpack. Note: The product comes in different Doraemon prints, the one available will be shipped to you.